There exists a legendary team of surgical experts in Tojo University Hospital that specializes in the Batista procedure - one of the most difficult cardiac surgeries with the survival rate only at 60%. Ever since its formation, this team has shocked the country by having 26 consecutive post-operative successes, virtually unheard of in the medical community. They basked in the glory until one day when three recent procedures produced consecutive deaths on the operating table. 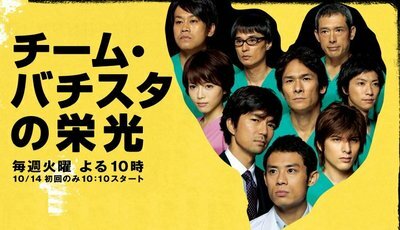 Taguchi, an internal medicine specialist has been entrusted with the investigation but since he is dealing with skills beyond his realm of expertise, he soon brushes off speculations of murder and deems the deaths accidents. Then arrives Shiratori, a Ministry of Health investigator. He not only labels Taguchi naive but speaks with confidence that this is a murder, and the murderer is within this team of elites. As the mystery unfolds, so does the complicated affiliation between each of the seven team members, will the duo discover the truth in time?